Retain AC3 5.1 audio track and all multilingual subtitles & audio tracks. 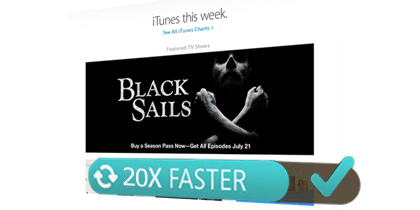 Output iTunes videos to iOS devices, Android devices, TV Console, etc. Fully support the Windows 10 Store version of iTunes. M4VGear DRM Media Converter is the fastest iTunes M4V DRM removal tool that can directly strip DRM from iTunes purchases and rentals at a 20X faster speed on Windows. With this DRM video converter for windows, you can legally remove DRM from iTunes M4V more conveniently. Retain 5.1 audio & all subtitles and audio tracks. M4VGear DRM Media Converter for Windows now can retain 5.1 audio when removing DRM from iTunes purchases and rentals. In this way, it will be possible enjoy iTunes videos with 5.1 audio on your TV. 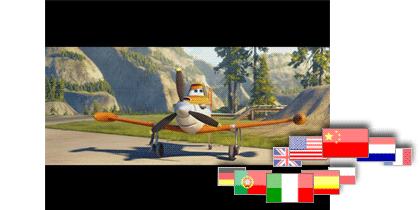 Besides, all the multilingual audio tracks and subtitles can be preserved. 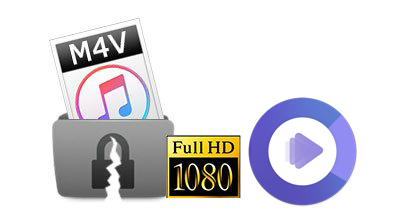 M4VGear can help you convert iTunes M4V videos(both SD and HD) to unprotected video and audio formats like MP4, M4V, MOV and MP3,etc. It also supports outputting iTunes videos to iOS devices (like iPhone 8 (Plus), iPhones X, iPad Pro...), Android devices (like Samsung Galaxy series, Google Nexus series...), TV Console and Game Console, etc. Preserve original quality. Support batch conversion. 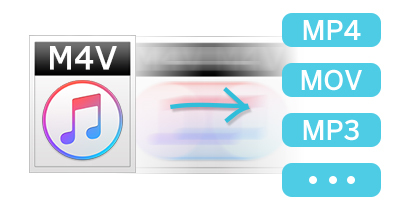 M4VGear can remove DRM from iTunes videos while preserving 100% original quality. It also supports adding M4V videos from iTunes Library in batch. After you click Convert button, the videos will be converted one by one automatically. Besides, the interface is very simple and easy to use. 1. The conversion speed is really fast. just as advertised. 2. Keep all the multilanguage subtitles and audio tracks. In this way, I can choose subtitle or audio track of certain language when playing them with my media player. M4VGear is a user-friendly and reliable piece of software developed to provide you with the ability of removing the DRM protection from your favorite movies and videos that you purchased from iTunes.